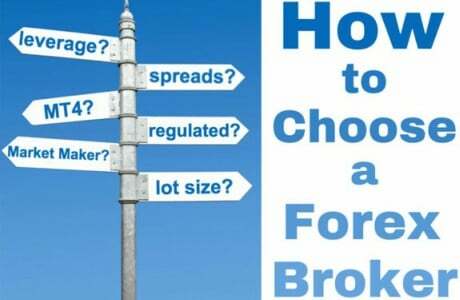 Let’s face it: in today’s world, with a myriad of websites and brokers to choose from, looking for the right broker that suits your needs can be challenging and quite time consuming. But don’t worry, we made it our mission to simplify this process for you and give you the best overview of what’s available on the market and under which conditions. The very first aspect to watch out for is, if the broker is properly regulated.For the Australian Market the licensing, governing and regulating institution is the Australian Securities and Investment Commission (ASIC).All legit brokers that hold an ASIC approval will make mention of their license on their website.On our website www.engineforex.com we clearly point out which brokers are licensed and regulated by the ASIC. We also point out other important and strong regulating entities such as the FCA (UK), CySEC (Cyprus), etc. and address if their seal of approval has been given to the relevant companies.For brokers that have a large international exposure it may be beneficial to further see which additional markets are regulated. Thirdly, customers should be able to select from a minimum of two different type of accounts. We also find varying trading conditions being offered. Why can that be beneficial?Different customers have different needs and one of the benefits of using our website, the reviews and comparison of brokers therein, is that you as a customer can easily compare which brokers are closest to your very own needs.Some brokers may offer low minimum deposits or high leverage, low minimum spreads or special bonus offers, others look specifically after beginners, advanced or professional traders. Most big brand brokers offer a selection of trading accounts with varying trading conditions that suit traders of all levels. Check our comparison tables as well as the detailed reviews for all the information you need to see all important broker specs and trading condition features. Quality and functionality of trading platforms offered.It’s beneficial to look for brokers that offer simple-to-use platforms that further offer strategic, risk management, technical analysis and support tools to suit your own needs.Most brokers offer MetaTrader4 as their main go-to platform. MT4 has grown to the most popular trading platform, allowing brokers to design and implement individual and specific add-ons. These add-ons and special tools vary immensely between the different brokers. Some brokers have developed their very own trading platform(s) which often target specific clientele. We point out most of those stand-out and unique additions, special trading tools or other trading platforms used for all brokers in our individual broker reviews. This further allows you to easily select your broker of choice by looking up these individual specs that suit your own demands. You should further check how many currency pairs, CFDs, etc. are available to trade for each broker and platform and under which conditions.If you only wish to trade Forex then it might be interesting to select brokers that offer as many currency pairs to trade as possible or, if you already know which pairs you would like to trade, choose brokers that offer these specific Forex pairs.If you are also interested in trading other instruments such as indices CFDs, commodities, shares, cryptocurrencies (such as Bitcoin, Ethereum, Ripple, Dash, Litecoin, etc.) or also use binary options then you should check which of these instruments are supported by the various brokers. Once again, to make your life easier, we have already done the job for you and reviewed those details in our individual broker reviews and comparisons. Make sure to view those reports and tables and select your broker of choice directly from here! Can I trade cryptocurrencies?One of the most interesting and ‘trendy’ markets to trade in is surely the cryptocurrency market.We clearly highlight which brokers offer ‘cryptos’ for trading on their platforms in our comparison tables to make it easy for you to view the tokens that can a be traded with the corresponding broker. More and more brokers jump on this fast moving train and offer Bitcoin and sometimes also other cryptocurrencies such as Ethereum, Litecoin, Ripple, Dash, Neo, Monero, NEM, etc. as tradable instruments. The cryptocurrency market has shown to be a highly volatile but nonetheless interesting market space. Are you interested in trading strategies or coding your own?Certain brokers offer a great selection of pre-coded trading strategies which are usually integrated in the trading platforms they offer. Other providers may even give you the option to code or design your very own strategies.Check our detailed reviews to know who’s offering what! Training/education You can learn all about Forex and specific trading terminology, the markets themselves, how to trade and much more in our detailed and exclusive Forex Education section.All serious brokers do also focus on this very important and useful information. Some offer general information and education on the subject, others go as far as to provide live streaming sessions, seminars, workshops or one-on-one coaching sessions to their clients. Make sure to compare brokers depending on your needs and get competent by checking out our training materials as well.